Online tax software will never replace the real-world experience of a local tax professional. Although using technology to do it yourself may seem cheaper, it could cost you more in the long run between mishandled deductions, miscalculations, and even IRS problems. At M. Jeffrey Martin, CPA, LLC, our approach to tax preparation services is affordable, accurate, and personalized. 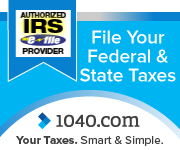 When we prepare your tax return, you won't have to wonder if it was done correctly. 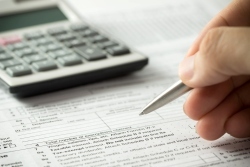 You'll have confidence that a qualified Saint Simons Island, GA accountant prepared your tax filings in line with all current state and federal regulations. Don't take risks with your tax return! Trust M. Jeffrey Martin, CPA, LLC for error-free tax preparation. Call 912-634-7722 or request a free consultation online.